A beige off shoulder dress and a Ports 1961 Multicoloured Tie Strap Shoulder Bag from farfetch.com are a nice outfit formula to keep in your casual arsenal. Introduce a pair of tan leather gladiator sandals to the mix and ta-da: the ensemble is complete. This pairing of a red tweed jacket and a Ports 1961 Multicoloured Tie Strap Shoulder Bag is hard proof that a pared down off-duty look doesn't have to be boring. 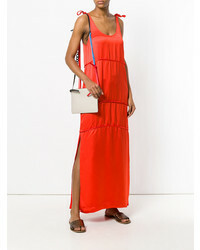 Why not opt for a white and blue print skater dress and a Ports 1961 Multicoloured Tie Strap Shoulder Bag from farfetch.com? These pieces are super practical and will look good paired together. To give your overall look a more polished feel, add a pair of black leather ankle boots to the equation. 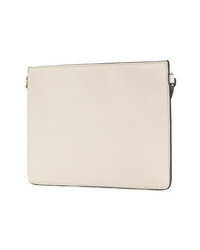 This casual pairing of a beige tank and a Ports 1961 beige leather crossbody bag is super easy to throw together in next to no time, helping you look chic and prepared for anything without spending too much time rummaging through your closet. A pair of silver leather thong sandals looks fabulous here. 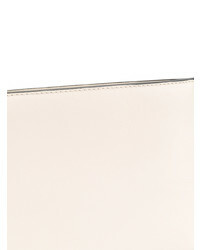 For comfort dressing with a modern spin, you can easily dress in a light violet shift dress and a Ports 1961 beige leather crossbody bag. The whole look comes together if you add gold leather flat sandals to the mix. Go for something off-duty yet on-trend with a black and white shearling coat and a beige leather crossbody bag. To bring an extra dimension to your outfit, complement this outfit with a pair of black suede mid-calf boots. This relaxed combination of a beige tulle midi dress and a Ports 1961 Multicoloured Tie Strap Shoulder Bag is effortless, seriously chic and very easy to copy! 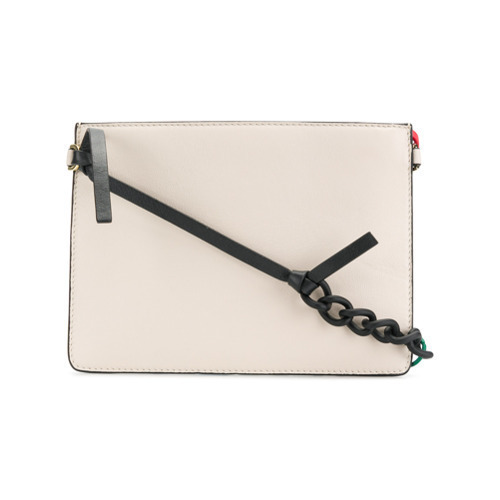 Try teaming a white v-neck t-shirt with a Ports 1961 Multicoloured Tie Strap Shoulder Bag from farfetch.com, if you want to dress for comfort but also like to look trendy. For something more on the smart side to round off your look, add a pair of white leather driving shoes to the mix. 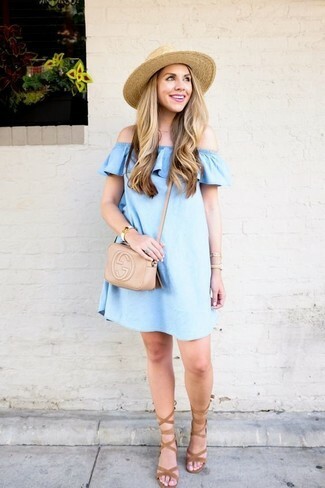 A light blue denim off shoulder top and a Ports 1961 Multicoloured Tie Strap Shoulder Bag are a savvy ensemble to incorporate into your off-duty wardrobe. Up this getup by slipping into a pair of tan suede gladiator sandals.